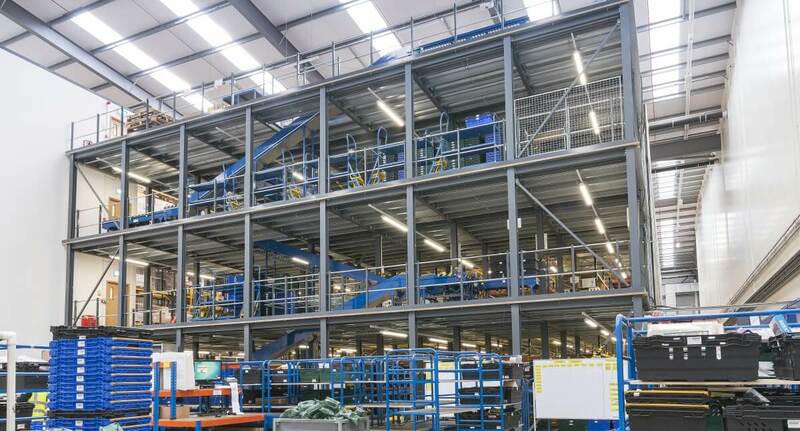 The CSL mezzanine floor solutions work perfectly alongside our range of conveyor systems or as a stand along solution. CSL will design the mezz floor along with any conveyor requirements, geotech ground surveys can also be arranged to check the suitability of the floor and the load on the warehouse slab. Foundations and floor modifications can be made if required prior to installation. The complete design process includes calculating the structural loading and submitting the plans for local authority approval. As part of the package we offer a variety of floor finishes including uncoated chipboard, clearcoat lacquered chipboard, epoxy coated, epoxy non slip and mesh.